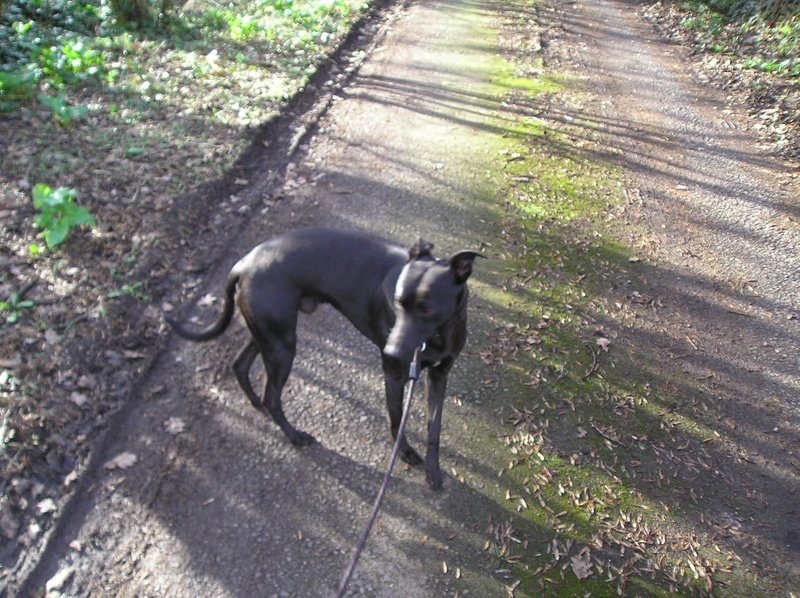 Sweet little Sooty is a lovely Whippet X, who has been adopted by a single Mum and her daughter. The lady in question was looking for a great family dog as her daughter is only four. Sooty and the little girl are a match made in heaven, they just get on so well, and Sooty is just perfect in every way for his new family. Sooty enjoys long walks and loves to swim, he has lots of doggie friends. Initially he didn?t like being left on his own as he was always used to the company of another dog, but his new Mum has gradually left him on his own for short periods and there is now no separation anxiety at all. This is a wonderful little chap who thoroughly deserves this great home.